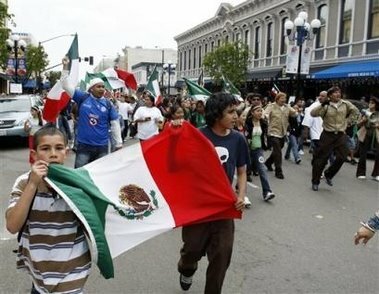 This is not a picture of Mexicans marching down a street in Mexico with their nation's flag, its a picture of Mexicans marching down a street in the United States of America. Thanks to the fools in D.C. we now have anything from 11 million to 30 million people in this country with loyalty to foreign lands. And who the hell these people think they are marching in America under the flag of Mexico? 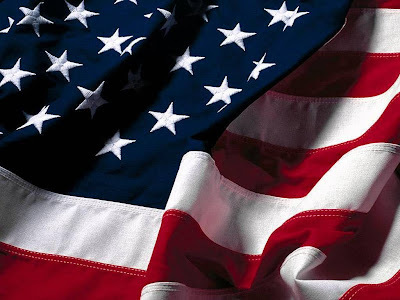 First, they break the law when they cross into this country then they break the law when they use fake documentation to take American jobs unlawfully and now the final slap in the face is them protesting against Americans debating American laws. Protesting under the damn Mexican flag without shame, that just kills me coming from illegals.